Getting to the gym can be difficult. Between work, kids, and your social life, taking time out to commute to a workout facility can be enough of an impediment to stop you from going. There’s also the embarrassment factor. While you should NEVER be embarrassed by the way you look or the level of fitness you are in, some people may feel uncomfortable working out in front of others. The system is capable of adding ten pounds of lean muscle. Includes four DVDs with 12 workouts. Schedule has the “HUGE” schedule and the “LEAN” schedule on back. Built on concept of Dynamic Set Training. Designed to help enhance your body’s testosterone production. These are just two of the many reasons that it’s a good idea to start workout program that you can do at home. 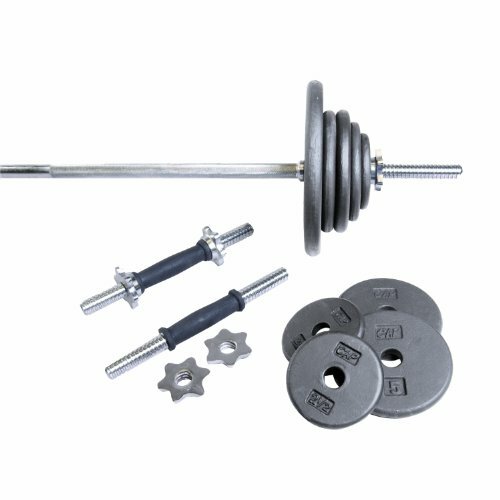 BodyBuilding.com offers up a number of must-have equipment for your home. 1. Dual Exercise Ab Wheel: In a previous article, we described ways to use an ab wheel to work your abs. It’s a good, inexpensive addition to your home gym. 2. Body-Solid EXM4000S Selectorized Home Gym: This is a hugely expensive piece of equipment (over $4,000), so you would only want to invest in this if a) you have the space, and b) you are sure you will devote your life to working out. Another option is to get on Craigslist and buy a pre-owned one. Usually, people will give them to you just for moving them out of their homes. 3. Barbell Medicine Ball: There are a number of exercises you can do with a medicine ball that will develop strength, coordination, and endurance. 4. Chin-up and Pull-up Bar: One of the quickest ways to build your upper body strength. 5. Stackable Resistance Bands: Resistance bands can hook onto a home gym like the EXM to give you more exercise options. 6. GoFit Foam Roller: Foam rollers are great because they help you massage sore muscles. 7. A Lifting Bench: Check out the Cap we review below. 8. Kettlebell: An alternative to traditional hand weights. 9. GoFit Plyobox: You can do box jumps that will add some cardio and develop your glutes and hamstrings. 10. Harbinger Weighted Vest: You can run in these to build core strength and make your cardio more difficult. 11. Powerblock Classic 45 Set: This is a hand weight system where you can adjust the weights. We reviewed a similar product a few weeks ago. 12. SPRI Super Bands: Great for bodyweight exercises. 13. GoFit Sand Bag Set: You can throw and pass these with a workout buddy to increase your strength. Another popular option for a home gym is to purchase one of the many DVDs available that will create a fitness plan for you. It’s important to note, though, that you have to be careful when considering the time frame. A promise that you will look great after a few weeks is not realistic if you are extremely out-of-shape, but it may be possible if you are looking to add workouts to your existing routine. Of course, all results will also be dependent on your age and gender. Sagi Kalev, a trainer and former Mr. Israel, created this program. 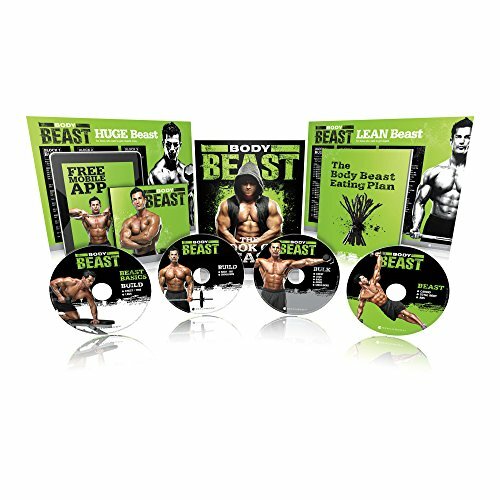 Beast Body includes four DVDs with a total of 12 workouts, which is enough to jump-start your resistance training plan, as it gives you enough options for the first few weeks. There are two selections in the package that you can choose based on the size you want: “Huge” or “Lean.” Please note, to get true “Huge” results, you will need to pack your diet full of protein, as you can’t get big without it. The program promises to add ten pounds of lean muscle in just 90 days because it includes a sequence of sets and repetitions that will keep your body under tension for longer. The goal is to exhaust the muscle so that it will rebuild. The DVD also promises to increase your testosterone production, which will enable you to build muscle faster. This is not entirely true, though. WebMD explains that working out will only boost your testosterone for 15 to 60 minutes post-workout. That’s not enough of a difference to change your testosterone for any significant period of time. If you choose to buy this, it should be for the workouts—not for false claims that your body chemistry can be changed. In addition to the DVDs, you will need dumb bells of varying weights. In fact, you need several, so it’s hard to define this as a home workout system. Body Beast also recommends purchasing some of their nutritional supplements. While the program is geared towards men, women can also use this resistance program. Burn up to 60% of your body fat with Beachbody trainer Chalene Johnson. Includes 15 plateau-busting workouts on 6 DVDs. Includes helpful tools such as the Extreme Motivation CD. Burn up to 60% of your body fat in just 3 months. 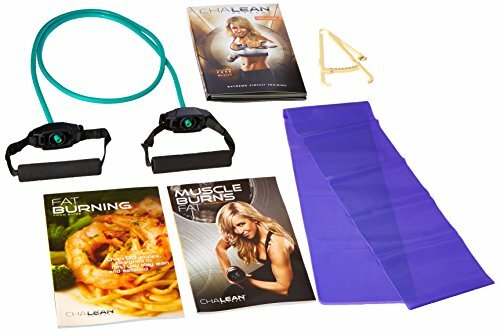 ChaLEAN Extreme comes with 15 workouts on 6 DVDs. This program says that it can burn up to 60% of your body fat in three months and that you will see results every 30 days. It includes 15 workouts spread over six DVDs. This should be enough routines to get you through at least your first three to four weeks. The workouts combine cardio and resistance training. In addition to the DVDs, you’ll get a motivational CD, resistance and thigh toner bands, a body fat tester, and a food guide. There is even a DVD that discusses what you should eat and stock in your kitchen. Since this workout shows you how to improve your diet, do cardio, and increase your muscle mass, it’s a good choice. Remember, when you build muscle, you’ll be burning more calories while resting. It’s not enough to buy some great DVDs, you also need to buy some equipment. This set includes an Olympic-size bench with incline, decline, and flat positions, which will help you with the chest presses we wrote about a few weeks ago. There is also equipment to work your legs, including a leg lift, late tower, and preacher curl attachments. It is built with a steel frame and has room to store your spring clips and weight plates. Please know that the bench does not come with weight plates, so this will be an additional cost. The bench is not ideal for a couple reasons. If you’re really tall you’ll be uncomfortable, and you also can’t use a bar that is shorter than six feet. It’s also not the best looking bench out there, but it’s long lasting. Contoured shape and five-inch foam rollers ensure safe and comfortable workout. Stabilizer levelers provide stable base on almost any type of flooring. Measures 17 by 25 by 51 inches (W x H x D); 250-pound maximum user weight. This bench offers five positions, -10, 0, 15, 30, and 45 degrees. This will allow you to work your upper body, but remember that you will need to buy your own hand weights to do so. 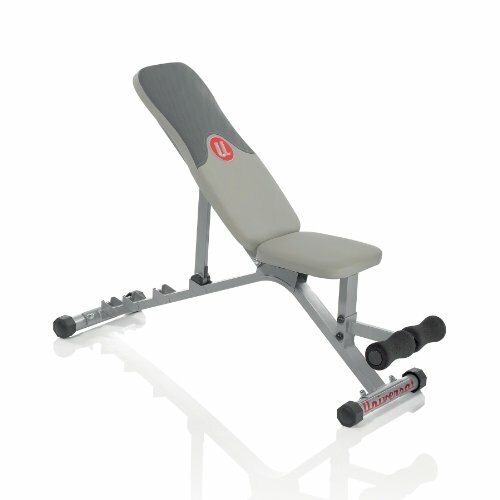 The fabric is contoured and there are stabilizer levels that will make this weight bench safer. While it’s not great for taller folks, it holds a lot of weight (it’s good up to 430 pounds). One small criticism is that the bench pictured on Amazon is not the one you actually receive. Also, it’s not going to be good enough for advanced lifters, but it’s okay for novices. Finally, it’s not sturdy or large enough to do ab work. Plates are made of solid cast iron. This will be the barbell and weight set that you’ll need to use with your weight benches. You’ll get 16 plates, including six 2.5-pound plates, six 5-pound plates, and four 10-pound plates. It comes with a five-foot bar, so it will not work with the Phoenix 99226 Power Pro Olympic Bench. You’ll also get two dumbbell handles and a 30-day warranty. The equipment is made of steel. However, there is one major issue with this product. It contains phthalate chemicals that have been linked to birth defects and reproductive harm. Because of this, I’d think twice before buying these weights, especially if you are a woman. A smaller, but still irritating, issue is that the nut that locks the weights does not always work. If you’re going to lift weights, you’ll be well served to pick up some accessories to protect your joints and shoes to wear to the gym. Some studies show that compression clothing can speed up recovery. Two-thirds of athletes who wear compression clothing report less “delayed onset muscle soreness,” so it may be worth picking up some compression gear. These knee sleeves will work for weight lifting, CrossFit training, and powerlifting. A quick note, you’ll want to make sure you order the correct size, as if you buy a size too small, you can cut off blood circulation to your lower legs. Weightlifting shoes are a bit different than normal trainers because the sole is flat and it feels firm when you’re lifting. The Pendlays have a ¾ inch heel, which won’t make them great for running or walking, but they are great for Olympic lifting. They are made with leather and a heavy-duty mesh. They are warrantied for 90 days. However, if you order an incorrect size, you will have to pay to ship the shoes back. This shouldn’t be an issue, though, as they are true to size and comfortable. Men’s shoes fit 1/2 size down from you running / training shoe size. Heel is 3/4 inch in height, the preferred height in Olympic Lifting. The most significant change to the shoe is the sole design. The 2013 Pendlay Weightlifting shoes are warrantied for 90 days. These are very similar to the women’s Pendlays. They also have a ¾ inch heel. They are also made of a heavy-duty black nylon mesh and real leather. Make sure you order ½ size down from your normal running or training shoes because if you order the wrong size, you have to pay to return them to the company. The good news is that they are warrantied for 90 days. If you want to make sure you’re using proper form, you may want to purchase a few books. Granted, all of this information is free on the Internet, but a book can be helpful to have on-hand, so you can quickly look something up while you’re lifting. 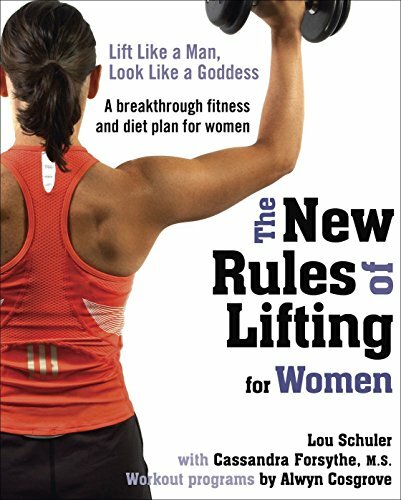 This book refutes the misconception that women will “bulk up” if they lift heavy weights. Nonsense! It’s tough enough for men to pack on muscle. Properly conditioned muscles increase metabolism and promote weight loss — it’s that simple. The program demands that women put down the “Barbie” weights, step away from the treadmill and begin a strength and conditioning regime. While the obnoxious title implies this is only for women, men can get a lot of solid information about proper form from this book. Additionally, the book holds factual information. It explains how building muscle is more important for losing weight and staying fit than cardio, and it refutes this bizarre idea that lifting weights will make a woman “bulky.” It is incredibly hard to build muscles, for men but especially for women. Without a lot of effort, women will not end up with huge muscles. In fact, it discusses the problematic use of the word “toning.” Some books and fitness magazines use the word toning because they’re catering to women and spreading misinformation. They want to imply that you can get better looking muscles without making them bigger, which is an unrealistic and unhealthy way to look at strength training. You also can’t “shape” your muscles. They look the way they do due to your genetics. Among other things, the book also challenges this notion that you can in some way lengthen your limbs. Lots of products are marketed to women by advertising that a workout can help a woman have long and lean muscles. Your muscles are only going to be as long as they were genetically determined to be. The author, Lou Schuler, is an award-winning journalist and a certified strength and conditioning specialist. Overall, this is a great book, but it might not be the best to take to the gym, as it has you jump from one piece of machinery to the next, which can get a bit difficult to do, especially if the equipment is spread out. 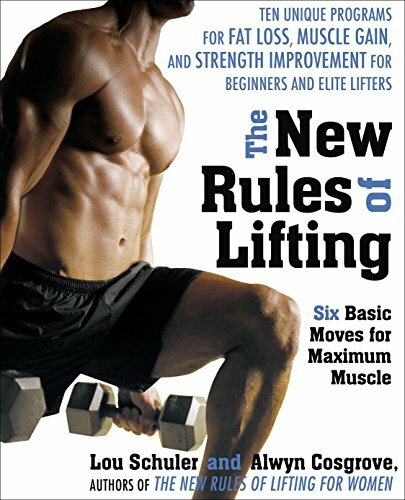 The New Rules of Lifting, now in paperback and with more than one hundred photographs, gives you more than a year’s worth of workouts based on these six basic movements. Whether you’re a beginner, an experienced lifter looking for new challenges, or anything in between, you can mix and match the workouts to help you get bigger, stronger and leaner. In addition, the comprehensive nutritional information provided makes The New Rules of Lifting a complete guide to reaching all your goals. If you aren’t using The New Rules of Lifting, you aren’t getting the best possible results. This is another book by Lou Schuler, which is geared more towards men. It gives tips on how to maximize the time you are spending in the gym. Some guys are there for hours, but they usually have little to show for all of their work. To accomplish this, it focuses on six major workouts—squats, deadlifts, lunges, pushes, and pulls and twists. These exercises work all of the major muscles in the body. Schuler is witty, so reading his books is always good for a chuckle, and they are full of solid fitness information. As a tip, I’d recommend buying the hard copy instead of the Kindle version, as the Kindle version’s formatting is a bit odd. For both versions, more diagrams would be helpful, and Schuler could write less verbosely.